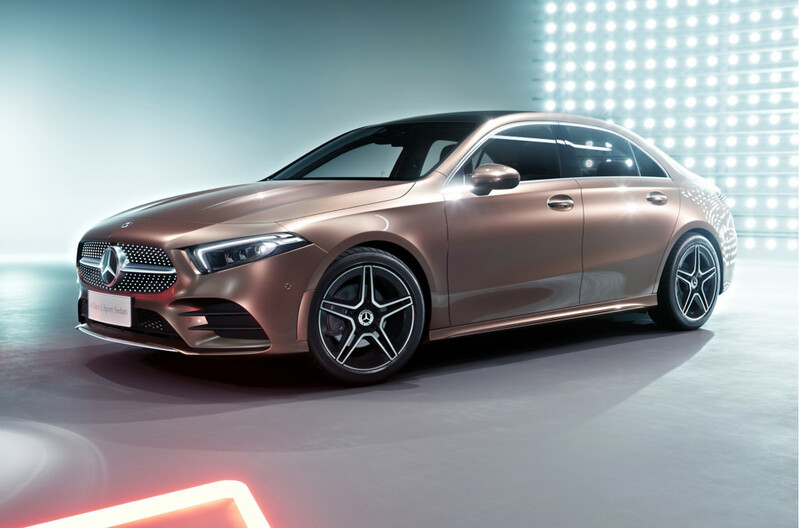 For the longest time, the New York International Auto Show earlier this year, we got a Facebook Live video demonstration of the trending feature to debut in the advanced generation of first A-Class sedan. Now I’m watching that video still excited about it because based on this batch of photos, it seems like a damn fine-looking little car. The 2019 Mercedes-Benz A-Class Sedan is, as everyone sort of expected, basically a European-spec A-Class hatchback with no 5 doors and slightly tweaked standard equipment. The look is pretty darn similar to the A-Class hatch, with its triangular headlights echoing both the A-Class and the new CLS-Class. Expect more Mercs to pick up this design language going forward. The model enters its fourth-generation. It's about three inches shorter in length. In terms of width, the two are about the same, at about 70 inches without counting the mirrors. Pricing hasn’t been confirmed yet, Approximately price was $33,000. To better fit the A-Class’s smaller interior, the standard model gets two 7-inch displays while higher-optioned models gain two 10.25-inch displays. Mercedes’ clever radar-guided cruise control, which utilizes GPS and navigation data to allow the A-class sedan to adjust its cruise control speed when approaching curves or intersections. Power comes from a gasoline 2.0-liter turbocharged inline-four with 188 horsepower and 221 pound-feet torque, mated exclusively to a 7G-DCT dual-clutch automatic.